Why HELLO! Hap-hap-HAPPY Valentine's Day! I'm in such a good mood, today. Why? I don't know. Maybe it has something to do with all the sugar that's pounding through my veins, thanks to all the candy that people have left on my desk. Or from the cupcakes that Miss Marie made... Or from the pure sugar I've eaten, straight from the packets at the coffee machine. I love Valentine's Day. Even when I've not been 'in loooooooove,' I've loved Valentine's Day. Remember when we were little and pronounced it as 'VALLEN-TIMES?' I love that... Every time I hear a little kid say 'VALLEN-TIMES,' a piecet of my heart thaws. I miss having a party in school, making a Valentine's mailbox, and passing out those cheap grocery store cards in the flimsy envelopes. I remember thinking somebody was really cool if they were able to talk their Mom into springing for the cards that came with suckers to stick through slots in the card. Oh I love memory lane. I'm usually drunk driving down it- but today, I'm on the sugar high express. Anyways. 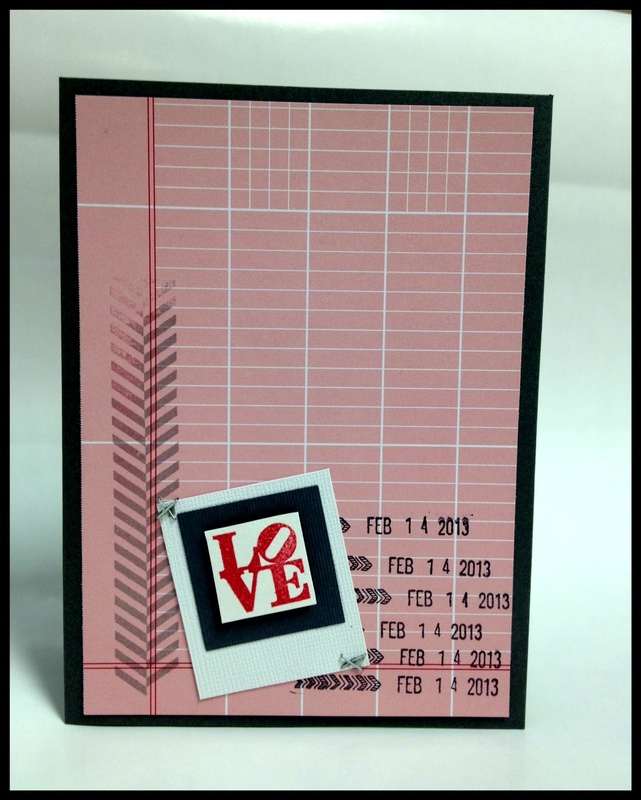 As fond as my memories of cheap grocery Valentine's are- I still enjoy being 'grown,' and making my own cards. So here's a selection of some of the many different cards I made for this year! 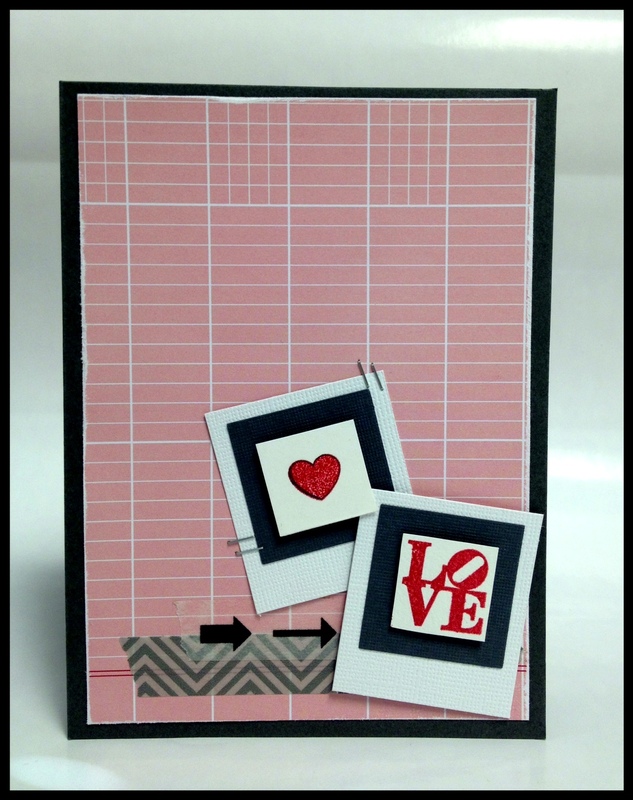 I loved making these faux polaroid shapes, using a square punch (for the dark gray paper) and my paper trimmer to cut the white rectangle. Mist! Masks! Washi! 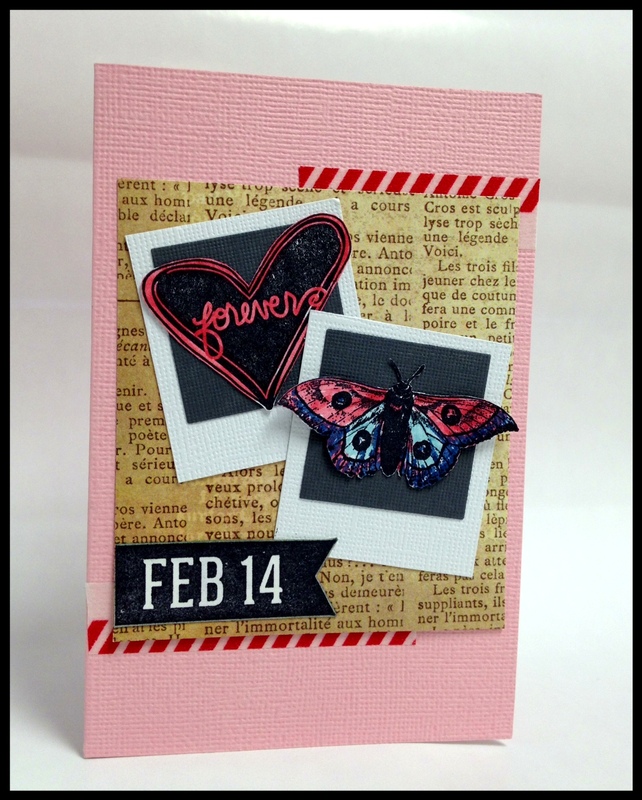 Die cuts! Stamping! 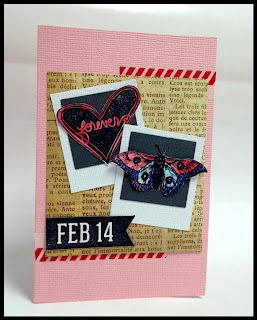 Wow- how many techniques can I squeeze onto one square card? This one, above, is very simple. I cut a scrap square of paper into strips on the paper trimmer. Stuck them on, put a strip of washi (which I'd also cut in half!) 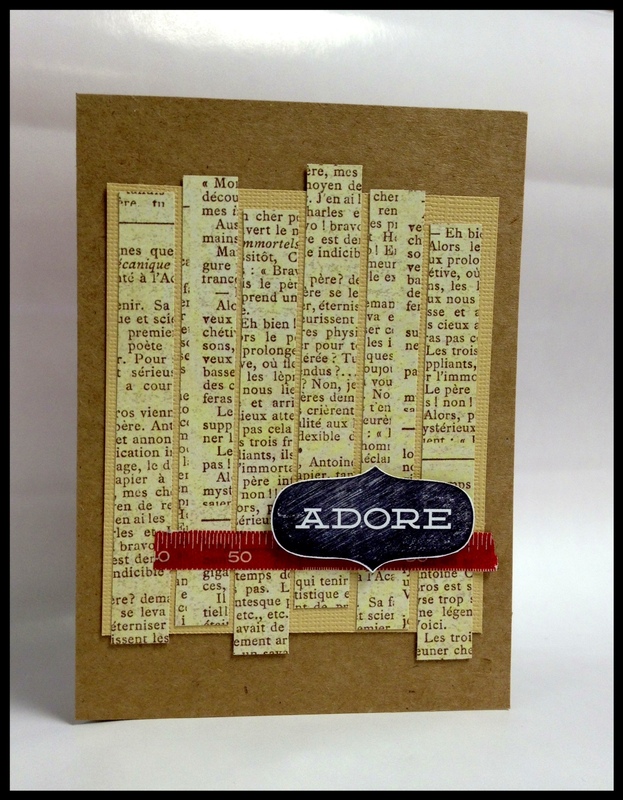 and topped with a stamped and cut-out image. The stamp was from the dollar bin at JoAnn. How cheap was this card? Scraps! 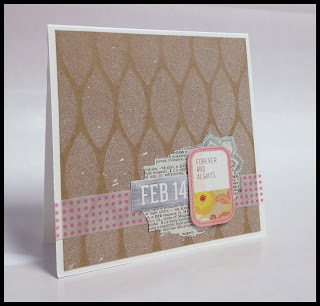 Washi cut in half lengthwise! Dollar bin stamp! 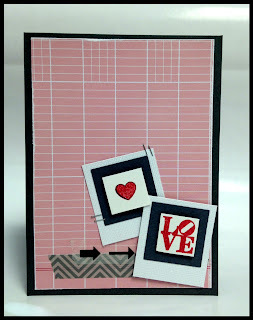 I got the new blueprint Valentine's stamps from Mr. Holtz/Stampers Anonymous and had to play around with the famous 'wrinkle free distress' technique. I LOVE playing with Distress Inks on my craftsheet! I just feel like such a pro, misting the ink with water and smashing the tag down! 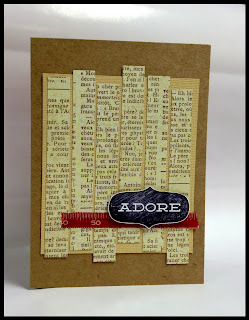 Sometimes, I even pretend to be Tim Holtz, and say to Holly, "Remember! Distress is reactive with water!" Aaaaand on the last card that I've got to show, right now, you can see where I played around with my Distress Markers, coloring a couple of stamped images. I love Distress Markers. Has there ever been a more perfect marker?! No. There hasn't. If I can manage to snap more pics of the cards I've made, before I head downtown to the theatre tonight, I'll post them- final weekend of CRIMES OF THE HEART! Come on downtown and see the show, if you're in town! Next up: Tracy Letts' BUG. Lots of love and HAPPY VALLEN-TIMES DAY! Kory really cool cards. Hope your day and start of your weekend went/is going good for you so far. 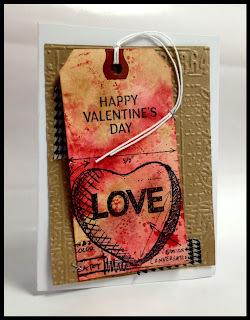 I totally miss covering a shoebox in construction paper and decorating it to make a Valentine's box. Then running around all the desks in the classroom stuffing valentine's into everyone's boxes- usually with some candy that never quite fit through the little slit so you'd have to kind of rip their box trying to keep the box of hearts still attached to the valentine. I always did the regular store valentine's like all the other kids, but I'd do something special for one person and I always delivered their valentine last. It usually had glitter. LOTS of glitter.